What Is A Hybrid Smartwatch? - Which? Confused by smartwatch terminology like hybrid and analogue? We explain what they are, and how they compare with more traditional smartwatches. A hybrid or analogue smartwatch takes the appearance of a traditional watch but has added smart features. We take a look at the difference between these different types to help clear things up. The choice between a hybrid smartwatch and a regular smartwatch boils down to whether you want a wearable device with a lot of smart features - such as the ability to receive and send texts, calls and emails, and add apps to your wrist, or if you prefer the traditional style and simply want a few extra features. A hybrid smartwatch may also be referred to as an analogue smartwatch, as it combines traditional watch style with these added extras. 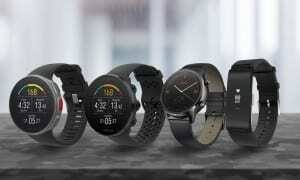 We’ve taken a first look at hybrid smartwatches from brands such as Guess and Skagen. We’ve also tested watches from all the big-name brands, including Apple, Garmin and Samsung. Once you know which type of device you’re looking for, head over to our smartwatch reviews to find the most suitable one for you. Smartwatches put phone functions on your wrist. The best brands push text messages, emails, phone call notifications, calendar appointments, social media updates and even road directions directly to your watch. Most will let you dictate text or email replies and web searches, while some will allow you to make phone calls via your watch. All of this means that battery life can be quite short, though, particularly when compared with the best fitness trackers. Some smartwatches offer basic activity tracking while others rely on exercise apps, but health tracking is still an 'added extra' for most devices. Despite this, some do offer more advanced fitness functions, such as the Apple Watch Series 3, which has built-in GPS, a built-in heart-rate monitor and waterproofing up to 50 metres, so it can be used to track your swimming. There are smartwatches that do a decent job of tracking activity, too - we put every smartwatch through our dedicated fitness tracking test to see how it matches up. You can find out more about . Why choose a hybrid or analogue smartwatch? A hybrid or analogue smartwatch will have a smattering of smart features, but not the full gamut offered by a true smartwatch. Instead, the focus will be on the design of the watch face and strap. They often have a classic watch-style face and some even have watch hands that you wind manually using a dial. 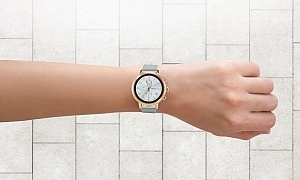 When it comes to smart features, an analogue watch tends to be limited to the basics such as buzzing when you receive a text or email on your smartphone. Some offer a little more, such as control of the camera on your phone from your wrist. 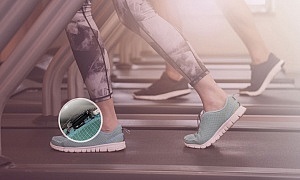 Most hybrid smartwatches will have one or two fitness features, such as basic step tracking. However, there are some that don’t have any fitness tracking functions at all. If this is an important feature for you, take a look at our fitness tracker reviews. Do any devices offer the best of both worlds? 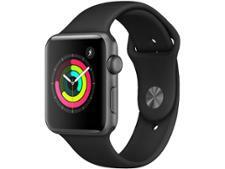 There’s an increasing number of traditional looking smartwatches on the market. In the past, smartwatches tended to be bulky and heavy – certainly not suitable for wearing under a suit jacket or to a smart event. But the latest smartwatches from big-name brands, such as Huawei's Watch 2 or Samsung's Gear S3, have a more traditional watch design. 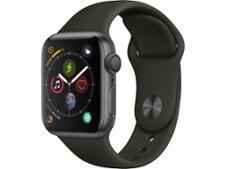 The Apple Watch Series 3 doesn’t look like a wristwatch, but it still has a stylish design, and is sleek and unobtrusive. So, if you want a smartwatch that’s stylish but still manages to offer a wide range of features that are useful and easy to use, then you can be confident that our tough tests will find those devices that are up to the job. Now we've helped you decide which type of wearable you want to buy, check out our expert smartwatch reviews and analogue smartwatch first looks to find the model that's best for you.